The Athenian trio released its first full-length right before the end of 2008, showcased its talent in the hard Rock roots and it’s quite interesting to see a young band perfoming their favorite music. 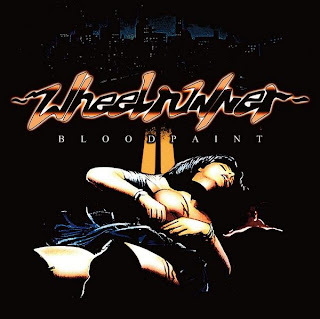 Wheelrunner was formed in 2001 and two years released also their first 6-track demo. After numerous live performances, the band released in 2003 their second demo titled “Rock 'n' Roll Lover”, including 6 tracks, while in 2004 the band was searching for a label and released a three-track promo, simply entitled “Promo 2004”. In their debut full-length, Wheelrunner deliver in-your-face hard Rock with energetic and’ atmosphere. The whole result is quite professional, proving that the trio from Athens is really watching their steps. Songs like “Proof Of Love” are sending the message to the fans and prove that the band is really explosive when playing live! I witnessed their energy myself when I attended their headline performance in RETHYMNO ROCKS! Festival #1 and I can assure you that their songs are made for their concerts!